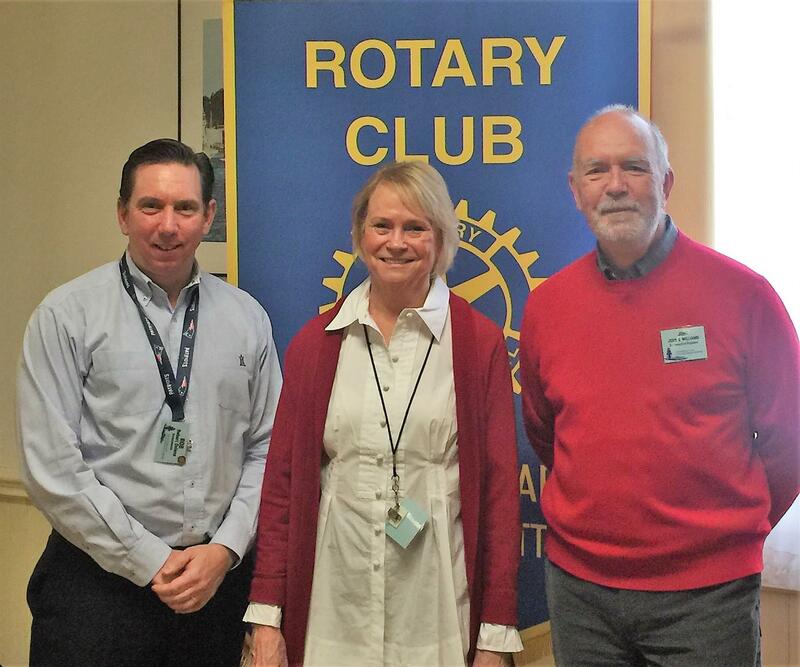 Recently, John Williams and Becky Linhart, both Rotary Club of Marblehead Harbor Rotarians, presented information on the Enhanced Scholarship Trust which was founded in 2006 by the RCoMH Board of Directors to provide a permanent funding source for scholarships. The mission of the Trust is to grow, manage and administer scholarships to help meet the needs of the community. The goal is to provide six 4-full year scholarships for high school students seeking degree courses and a "Second Chance Scholarship" for individuals who would like to take a course to enhance their career. Successful recipients for the Second Chance Scholarship will receive up to $2500 paid directly to the educational institution on their behalf. Courses may be taken at a college or university, but may not be a part of a degree program.